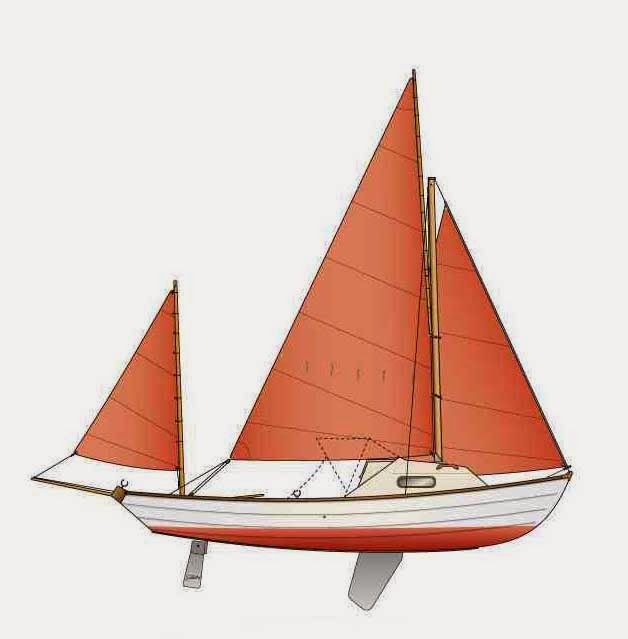 Adventures with Kathleen: Wavecrest - "A 16 foot cabin cruiser"
For those who have read AC Stock's "Sailing Just for Fun" will have noticed that he considered other classes of boat before finally choosing a Fairy Falcon. 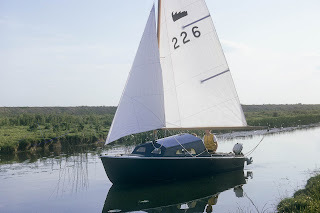 One of those boats was the Wavecrest, which was designed by Alan Eckford, who also designed the Fleetwind sailing dinghy and the larger Spitfire sailing cruiser. He was an interesting person who also designed a floating caravan. 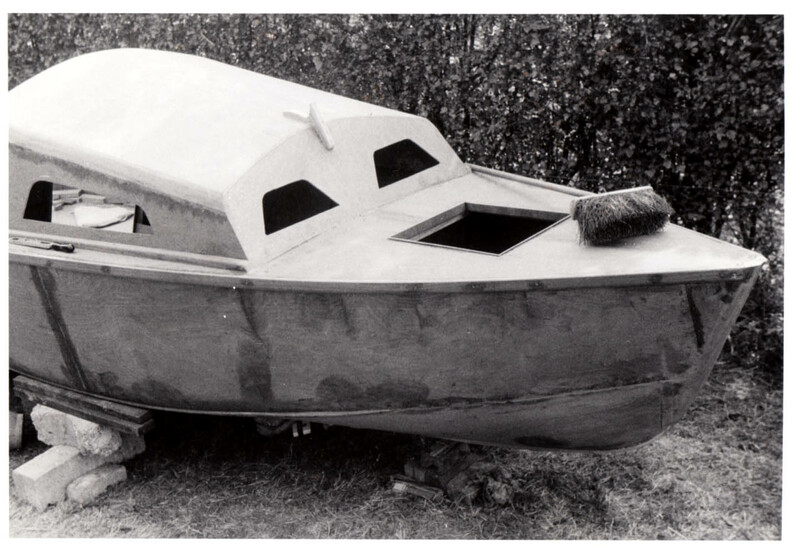 There seems to be very little information about the Wavecrest and it never reached the popularity of the Lysander. 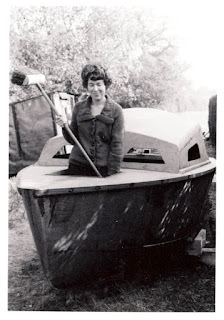 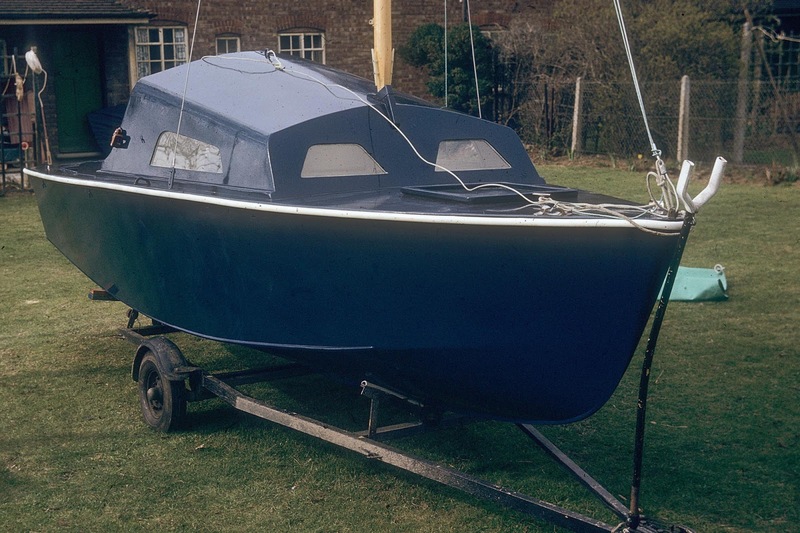 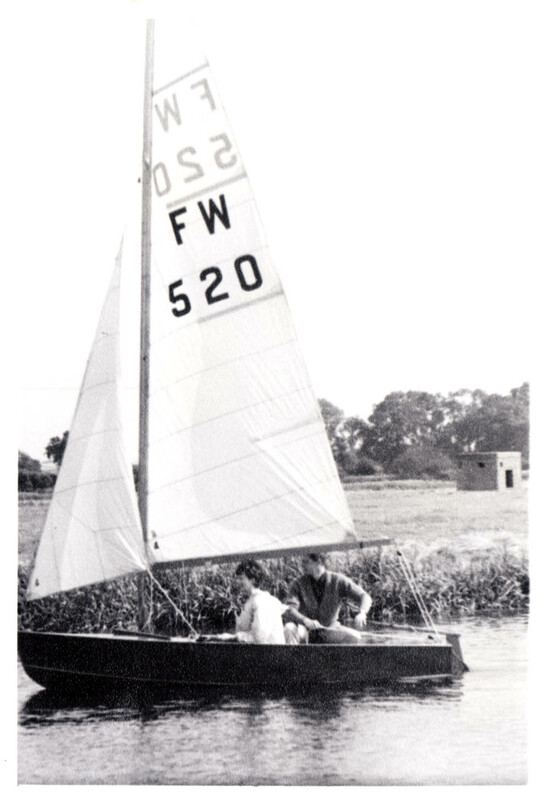 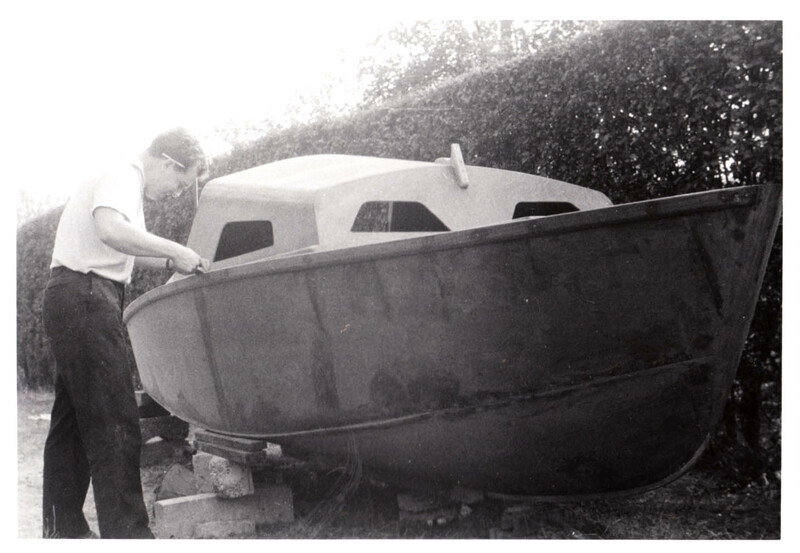 But my father was impressed by the design of the Wavecrest and he bought a part completed boat in 1964 for £225. 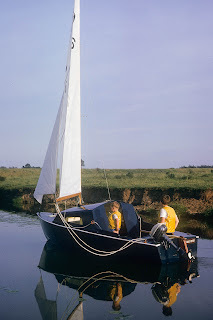 The sails were £24/10 and mast/rigging was £47/3/6. 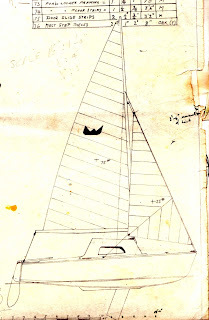 (My father kept a detailed diary, which we still have). 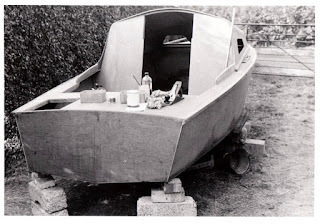 In later years, I remember him describing the Lysander as a "tub of a boat" that would never sail properly. 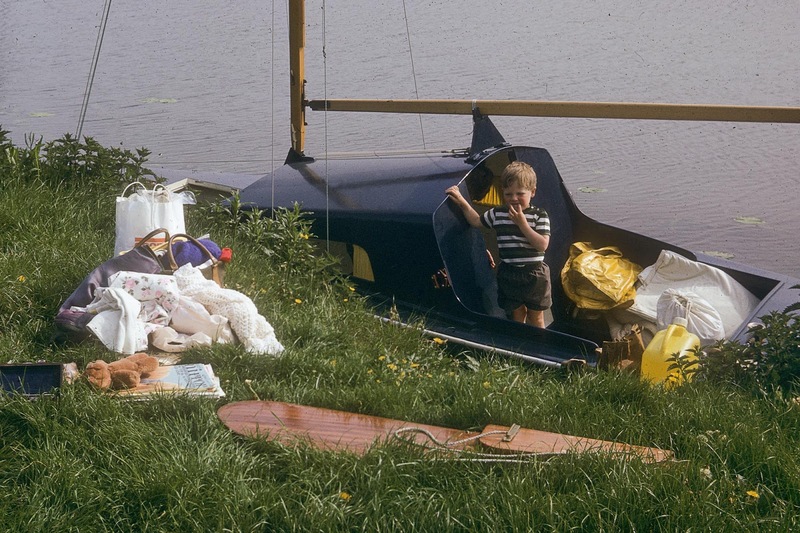 Once completed we had several memorable holidays on it, with my parents sleeping in the cabin and myself under a "tarp" in the cockpit. 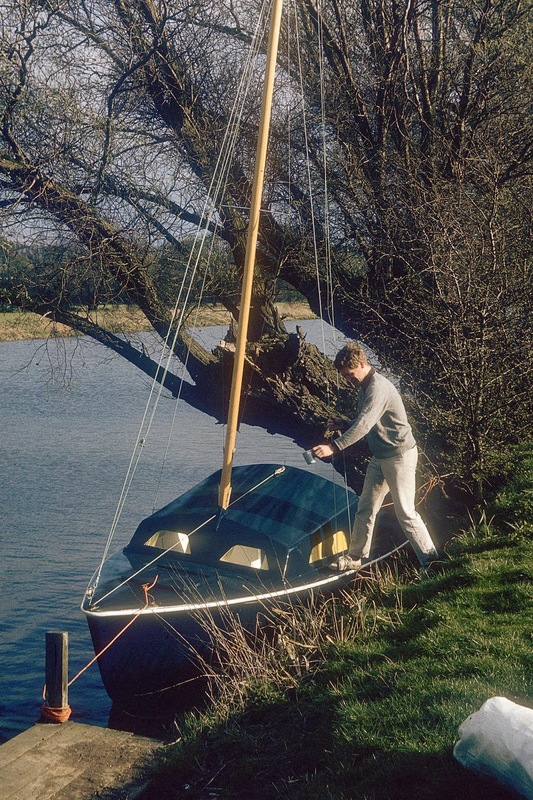 This is in our back garden, I seem to remember part of the fence had to come down, so we could get the boat in and out. 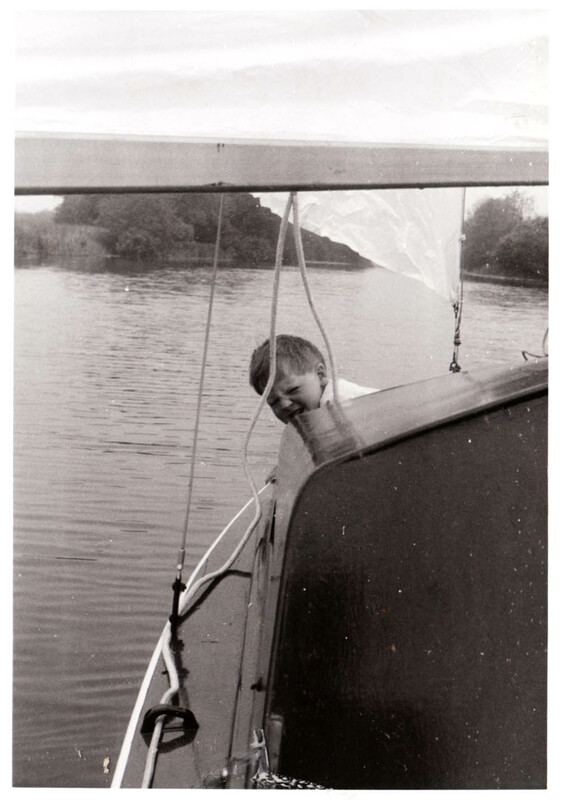 This is my father's best man, Mike, at the launch of the boat and pouring tea on the cabin. 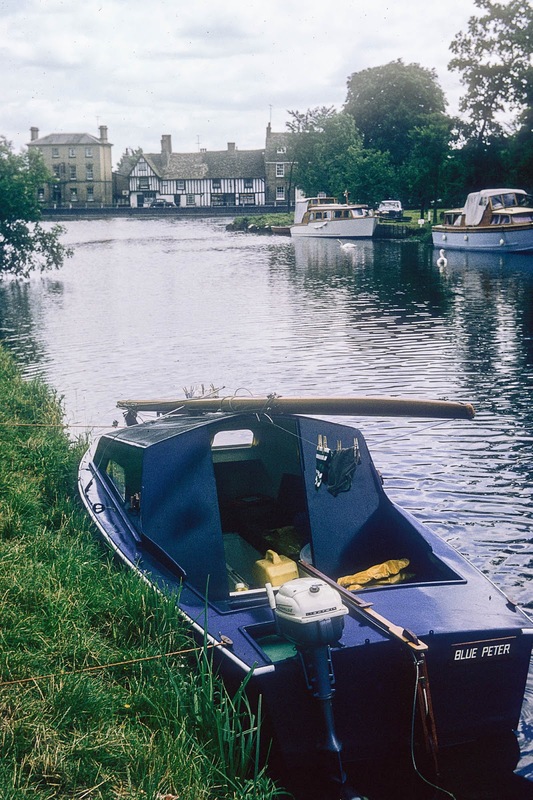 These colour pictures on the river were taken in 1965, when we sailed from our home in Bedford to visit my grandparents in Cambridge. 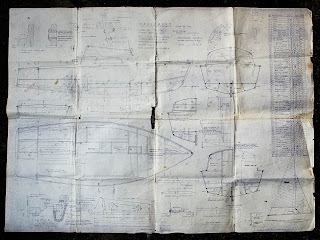 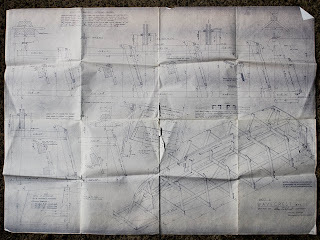 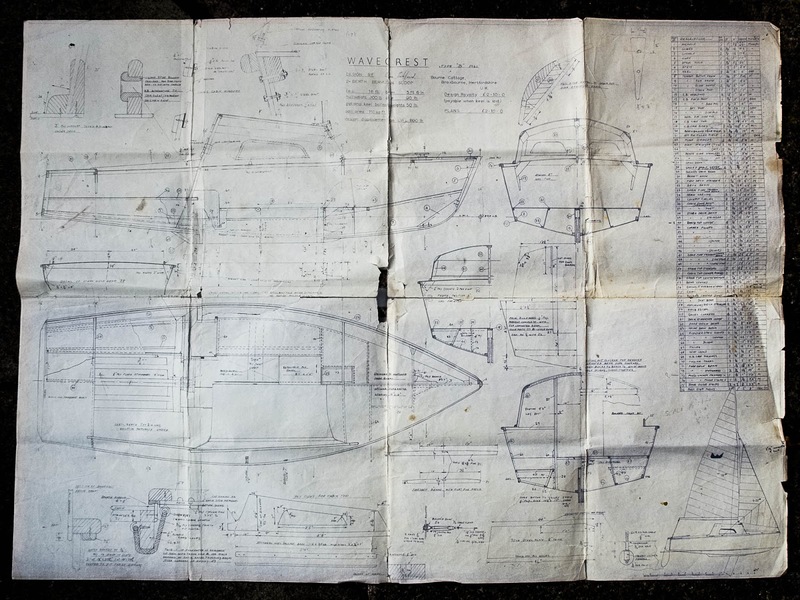 We still have the original drawings, there are only two sheets but appear to show all the information needed to build the boat. 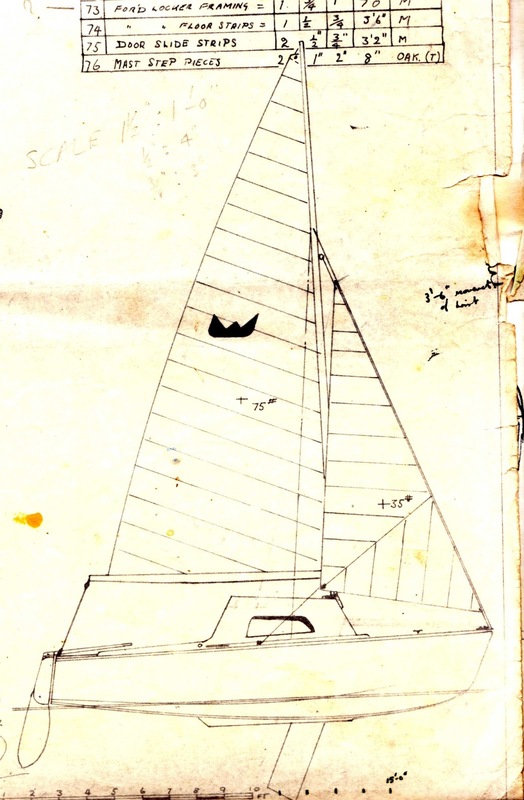 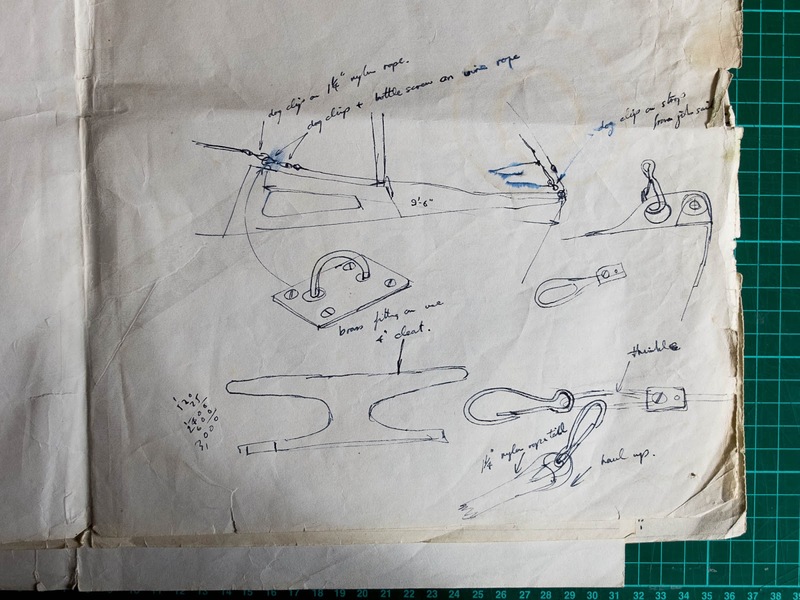 On the reverse side we found some sketches by my father, which showed his ideas to help raise and lower the mast single handed. I can't remember doing this but the photographs and knowing there were a number of bridges on the river, it is something he must have done on several occasions. So impressed with Eckford's designs, my father later bought a Fleetwind as well. This is Mike (again), sailing the boat on the Thames around 1966. 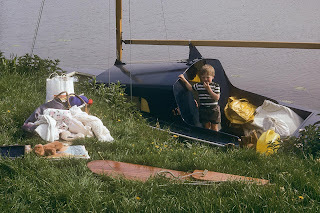 I notice there is not a buoyancy aid or helmet in sight.